Founded in 1357 by Charles IV. By the latest researches its construction was started by Master Otto and finished by Petr Parléø in 1402. 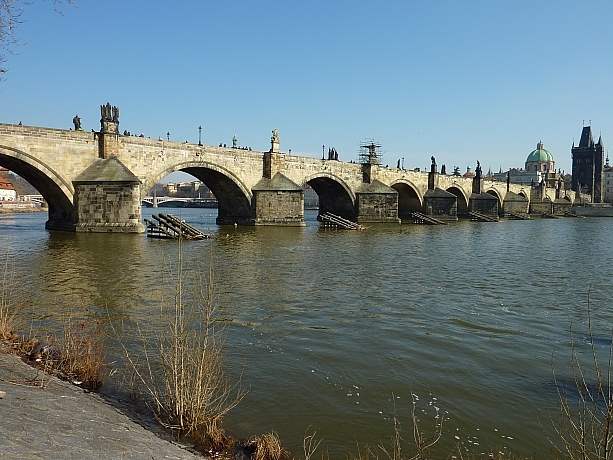 On both sides, the bridge is fortified with towers (Lesser Town Bridge Towers, Old Town Brige Tower). The Baroque sculptures and sculptures groups on the bridge are mostly from the 18th century (Matthias Braun, F.M. Brokof, etc. ).